PARMA, Ohio--(BUSINESS WIRE)--PREP Property Group is excited to announce two new additions at The Shoppes at Parma open-air shopping center. Leases have been signed for Naf Naf Middle Eastern Grill and The Joint Chiropractic. Both tenants are anticipating a fall 2018 grand opening. Naf Naf Middle Eastern Grill is opening its second Ohio location at The Shoppes at Parma. The fast-casual restaurant, a premium destination for fresh Middle Eastern favorites, will be in the multi-tenant building in front of Walmart Supercenter facing W. Ridgewood Drive. The building is also home to Piada and Sprint. Naf Naf is inspired by the Middle Eastern community’s hospitality and recipes, creating a culinary experience that explores dishes including fresh, artisan pita, crispy falafel, savory shawarma and scratch-made signature sauces. Customers start with either pita bread or a bowl and add shawarma chicken, steak or falafel, followed by salads, garnishes and sauces. The latest fast-casual food service addition to The Shoppes at Parma joins eatery options including Antonio’s Restaurant (Italian), Best Wok (Chinese), Chipotle Mexican Grill, Mission BBQ (Carolina barbecue), Five Guys (traditional American), and Piada (Italian street food), among others. “We set out to offer shoppers international food flair at The Shoppes at Parma and Naf Naf fits perfectly into that strategy,” said Jason Jarchow, Senior Director of Leasing for PREP Property Group. Tony Visconsi and Sean Wall of Hanna Commercial represented the tenant during lease negotiations. The Joint Chiropractic (The Joint), is the leading chiropractic provider in the U.S. and is opening its first Northeast Ohio chiropractic office at The Shoppes at Parma at 7713 West Ridgewood Drive, in the Marc’s strip center next to Hometown Urgent Care. 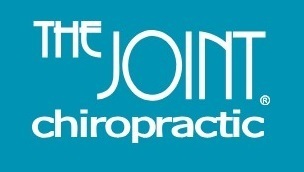 This will be the sixth Ohio location for The Joint, which has 400 chiropractic clinics nationwide. The Joint offers a unique membership model for preventative care for those dealing with chronic back pain, neck pain, migraines and more. Daniel Clark of Goodman Real Estate Services Group represented the tenant during lease negotiations. “The Joint will improve accessibility and ease of routine chiropractic care for our neighborhood with its no-appointment, no-insurance and no-hassle business model and team of experienced and licensed chiropractic care experts,” said Michelle Devlin, General Manager at The Shoppes at Parma. From its inception in 1999, The Joint has expanded steadily with a tremendous growth spurt occurring after the brand began franchising in 2006. PREP Property Group announces Naf Naf Middle Eastern Grill and The Joint Chiropractic have signed leases at The Shoppes at Parma. Opening Fall 2018.